Sunny Day Real Estate's drummer says their greatest album is "buried in Dave Grohl's sock drawer"
Dave Grohl is considered one of the funniest, most big-hearted guys in rock. Hell, last month he was serving up brisket to California firefighters. Not everyone agrees with that assessment, however; last year, Sunny Day Real Estate drummer and former Foo Fighter William Goldsmith labeled Grohl a “schoolyard bully” in an interview that demonstrated how sour he still was about the rocker’s decision to surreptitiously re-record the majority of his drum parts on the band’s seminal The Colour and the Shape. 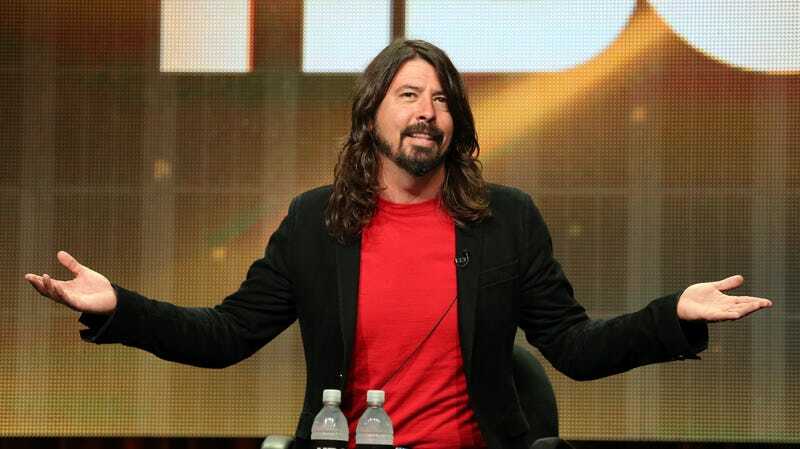 On Tuesday, Goldsmith returned with more choice words about Grohl, this time claiming that Grohl is the reason Sunny Day Real Estate hasn’t released an album in 18 years. The only new Sunny Day Real Estate song to emerge from those sessions is “Lipton Witch,” which appeared on a 2014 Record Store Day split effort with Circa Survive. Goldsmth’s original video was soundtracked by some unidentified music that some theorize are instrumentals from the unreleased album.